Hey, reader, can you spare a photo and a story? – The brain is sooooo cool! 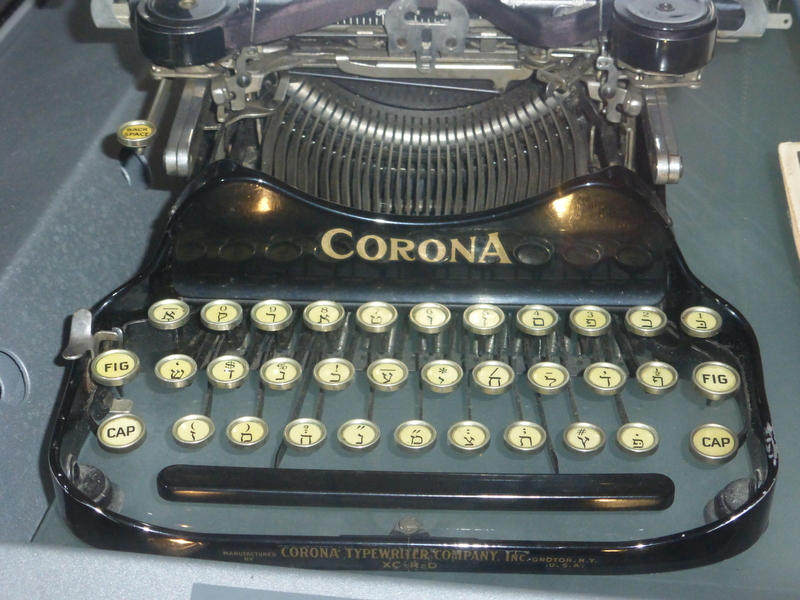 A Corona typewriter on display at the Danish Jewish Museum in Copenhagen, Denmark. I am old enough to have used a typewriter (albeit electric ones) all through college, Even though I now write on a computer, my rate of progress sometimes belies the technological innovation. 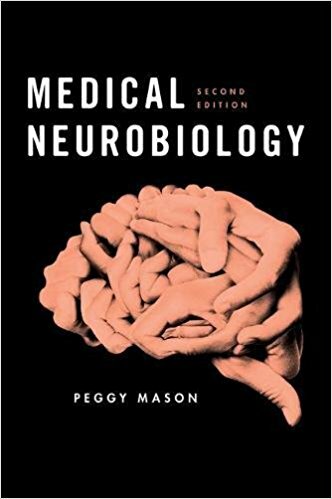 I am working in earnest on the 2nd edition of my textbook entitled Medical Neurobiology (Oxford University Press, 2011). I have taught from this book to Pritzker medical students four times (2011-14). While teaching medical students is most directly relevant to a textbook that specifically targets medical students, I also learned so much from teaching undergraduates in University of Chicago’s Study Abroad program. Although I did not anticipate it at the time, learning to teach non-Biology majoring undergraduates in Paris set me up beautifully to teach the lay public. My dream of teaching neurobiology to the general public came true when thousands of people of all ages and from around the world took my Coursera MOOC on Understanding the Brain: The Neurobiology of Everyday Life. From each of these experiences, I honed my teaching of neurobiology. Now I am excited to put what I have learned into 2nd edition-reality. Along with updates (e.g. head trauma and chronic traumatic encephalopathy), additions (e.g. neural control of feeding, the brain-microbiome connection; adolescence and aging), reorganizations (putting the hypothalamus material into the homeostasis section) and some simplifications (neuroanatomy); I also want to update many of the illustrations. My scientific colleagues have been amazingly generous already in their willingness to share material. I am also hoping that you, my readers, can help me put faces and narratives into the quintessentially individual experience of neurological disease. As an example, consider Bell’s palsy. I would like to show pictures of an individual with Bell’s palsy at rest, meaning with a neutral facial expression; this would allow the reader to see the absence of a nasolabial fold (at least if the person is over 30 or so years old). Additional pictures of the individual either deliberately making a facial expression or making one because of an emotional motivation would illustrate that a peripheral lesion such as Bell’s palsy impairs function regardless of context. 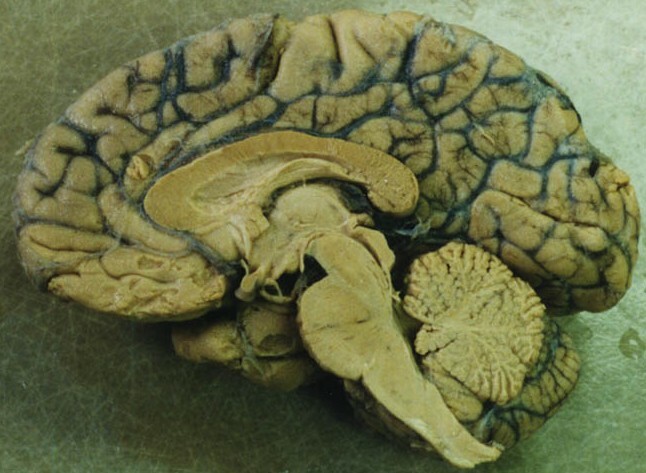 This is in strong contrast to the effect of a central brain lesion. This list is not exhaustive. If you have a neurological condition that is not listed and you are willing to provide photographs and share your story, please let me know. If you know someone with an illustrative neurological condition, please pass this message on to that individual. Anyone who is willing and able to help should contact me in the comment section below. I will then get in touch with you by email. Of course, some neurological conditions do not lend themselves to photographs but are best illustrated by video interviews. I am interested in making such videos and putting them up for all to watch and learn from. But this is a project for after July 1. I want to thank all of you in advance for your help. I am excited to have the chance to partner with you to move towards a greater appreciation of the power of the nervous system. Pingback: Can you read this? | The brain is sooooo cool! I had Third Nerve Palsy as a result of a craniotomy 5 years ago to remove an epidermoid cyst in my third ventricle. Fortunately for me, the palsy and diplopia slowly resolved. All I would have to offer are my MRI images, but you’re more than welcome to them! Best of luck with the new edition – from a grateful MOOC’er! NPR Terry Gross interviewed Neuroscientist Francis Jensen on her book THE TEENAGE BRAIN and the growth of the frontal lobe in regard to Schizophrenia. I don’t know if this sort of thing can be seen with MRI . are there changes in the brain with Schizophrenia? I am not aware of any structural changes that are widely accepted as diagnostic of or clear markers of schizophrenia. I guess this is based on the early onset of 18. So many variables, hormones, something to do with impulse control, no clear symptoms, very hard to diagnose, especially if they are taking drugs. Looking forward to your course. It keeps my senior brain active, you know use it or lose it. I’m just finishing a show with and about my 58 yo friend with Parkinson’s. I’ll check with him. He’s doing a show about it so huge ain’t shy. Should I send you video links our just post them to the UTB fb page or here? Hi Peggy: how delightful you wish to engage us, your dear readers, in your ambitious revision. I have essential tremor of the head. Have you heard of Essential Tremor (ET). Normally it affects hand gestures, and can be quite debilitating – for example, making it impossible to eat soup. There’s no known cure for ET and medications just lesson the symptoms. And it’s progressive. I took your first MOOC to find out more about neurology in hopes of understanding my illness and am looking forward to your second. I’ve heard ET is caused by neurons firing rapidly repeatedly, stimulating the muscle to contract and release. It would be wonderful to know where in the brain this occurs! I am well acquainted with essential tremor. I would love to do a video with you after my 2nd edition. As you say, the still photos wouldn’t capture it. 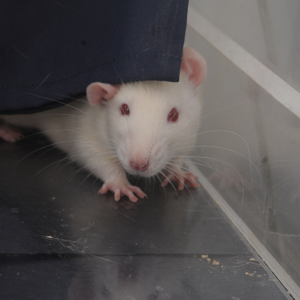 As it turns out, we may have happened upon a rat model of essential tremor in my laboratory. We weren’t looking for it but found it by serendipity. I want to see if I can get some pilot $$ to see if it is indeed ET. From what I understand, the thought is that ET is a result of cerebellar dysfunction possibly due to erroneous input from the inferior olives (where the teaching signal comes from) of the medulla to the cerebellum. No confidence that this is correct but it is the idea that I have heard. Hi Peggy, I just took your brain course so thought of you when I saw this info in a recent newsletter on CFIDS. (chronic fatigue.). I think it’s fascinating that new things are still be discovered in the brain!